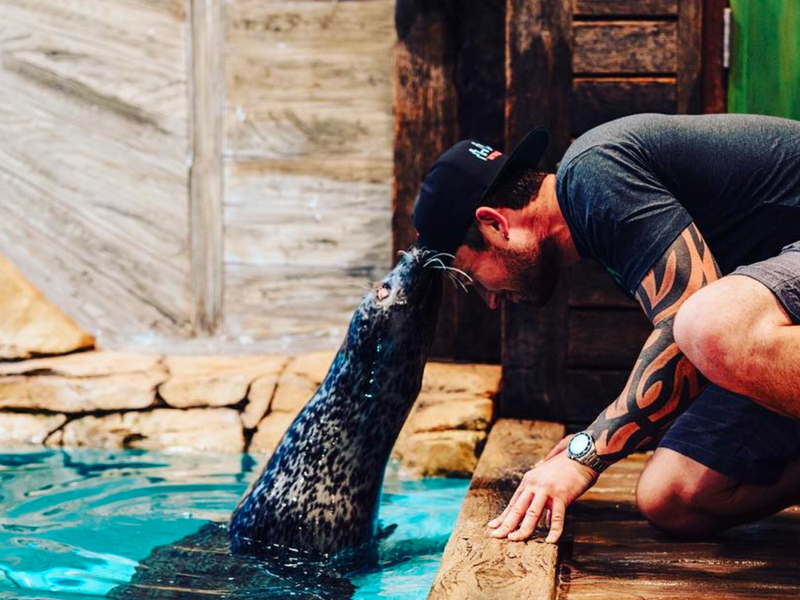 Michael Ray kisses a seal. Jason Aldean mistook a hair weave for a dead squirrel. Reba McEntire, Lee Ann Womack and Brandy Clark performed at a benefit for the Alzheimer’s Foundation of America. Chris Janson played the hell of the harmonica on the Opry stage . . . again. Granger Smith quizzed his touring crew about another crazy week on the road. Peyton Manning coached Brad Paisley on his Nationwide jingle writing. A Thousand Horses played in Nashville to support Musicians On Call. Shania Twain will be performing at the US Open (tennis) in August. RaeLynn and Chris Lane are in Cosmo. Sara Evans crushes a piñata. Aaron Tippin throws it back to Aaron Tippin. The @Nationwide Jingle Sessions with Peyton and me are coming this fall. Watch the behind-the-scenes look on YouTube.
.@saraevansmusic + @CandyCrushCBS piñata = The epic video below.